Notes: [Rev. 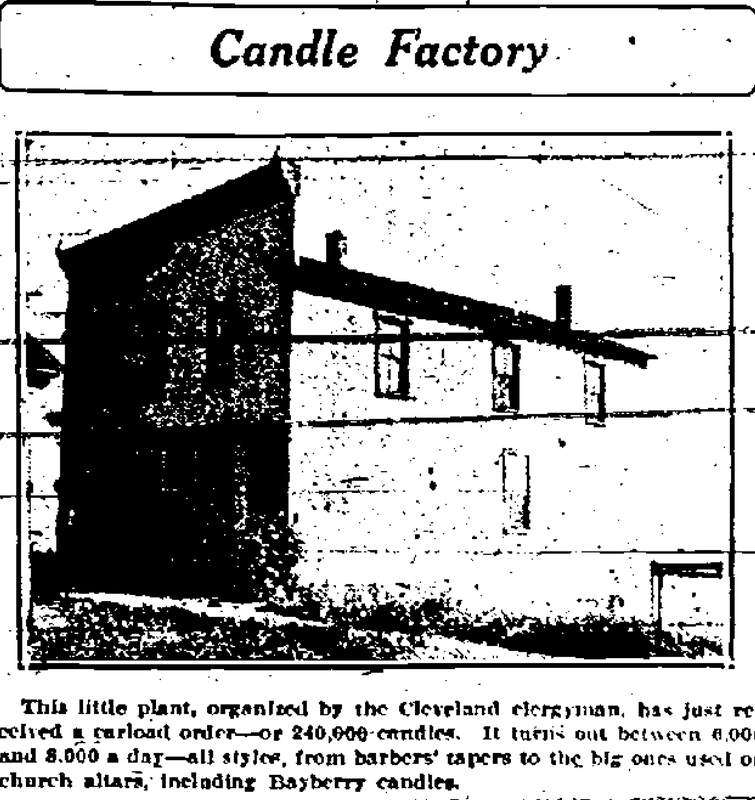 MacNish] saw that the village offered little opportunity for employment and some two years ago, he started a candle factory in a small shack assisted by Raymond Cottet and George Moyer, the latter having been employed previously in the Will & Baumer candle factory in Syracuse. Larger quarters on the main street were secured as the business grew, and having launched the project, which gradually took more and more of his time, the rector had the company organized about three months ago, under the name of the Perfection Candle Company, capital $10,000. The company was sold by Dr. Lewis of Syracuse in 1934 after his son, Dudley Lewis was in a serious automotive accident. It became the Como Candle Company in July 1934 under the new partnership of Laurence Cottet and Eugenia Morenus.